Naga Chaitanya and Samantha, who are fondly known as Chay Sams, are seen together for the first time after their marriage in Majili, which has generated a lot of curiosity and expectations on the film before it hit the screens. The film was released in a good number of theaters across the world on April 5 and the hype helped it get an exceptional advance booking. The romantic drama film directed by Shiva Nirvana received a remarkable debut at the ticket counter and became the biggest opener for Naga Chaitanya. An encouraging word of mouth enhanced its collection on the following days. 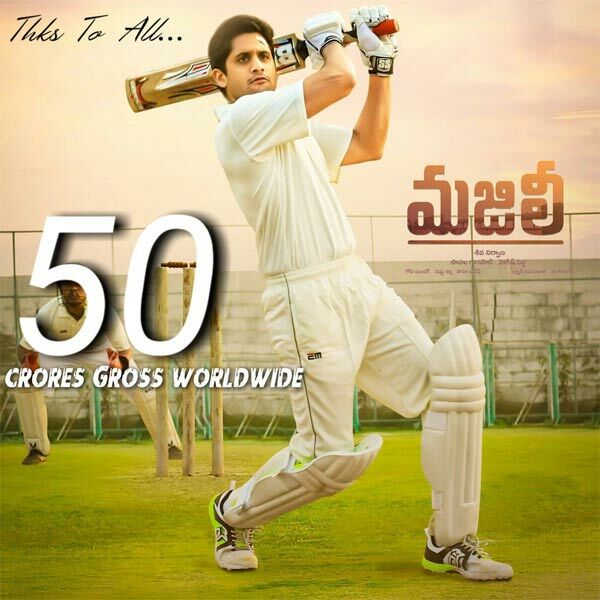 Majili has now entered Rs 50 cr grossing films club, which is his first film as solo hero. Overall, this is second film for him after Akkineni family multi-starrer Majili. Majili has already shattered the lifetime collection records of Chay’s previous films- Savyasaachi (Rs 20.70 crore gross), Shailaja Reddy Alludu (Rs 35.40 crore gross) and Premam (Rs 37.95 crore gross). Majili has returned its investment in seven days itself. Whatever it earns in the coming days will be a profit share for the buyers. Ram Charan's Next Director 'Yevadu'?